Comedian, host, actor and Emmy-winning journalist Charlie Berens is a dynamic talent in the comedy world. 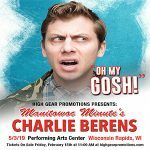 Berens is the creator and star of the Manitowoc Minute. In 6 months he transformed the viral video series into an hour-long variety show selling out venues, sometimes within minutes. Charlie’s career extends beyond the Manitowoc Minute. 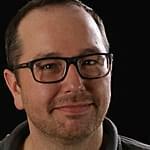 From creating content for Funny or Die, TBS Digital and Fox Sports 1, to hosting shows for Fox, CBS Sports Network and Variety, Berens’ skill set proves invaluable in a rapidly changing media landscape.